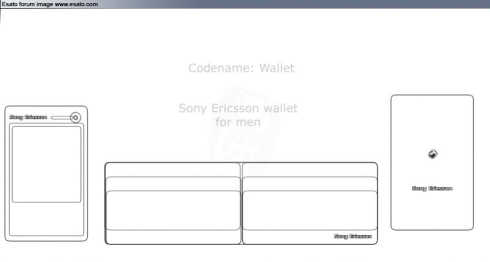 Having a look at the Esato board, I came across some neat Sony Ericsson concept phones, designs and even a teaser of an upcoming concept. The latter was created by Razec and can be checked out below. I can spot a 8.1 megapixel camera sensor in there (if my eyes are sharp enough) and it turns out that this is the Sony Ericsson Phan concept phone. Next up is echo.shane’s Wallet design, a concept that looks and feels like a wallet, thanks to its leather texture. It’s easy to carry in one’s hands and pocket and it turns out we’ll be finding more about this project in the future. Finally, we get to see more of a poster than a concept phone, since dozens of XPERIA X2 designs have passed before our eyes. This Sony Ericsson XPERIA X2 concept is quite a looker, keeping the same panel-based interface of the original handset and probably relying on a customized version of Windows Mobile… or maybe Symbian?